Over many years, I’ve been grateful to meet and become friends with many amazing people who have commissioned me for a custom sculpture. 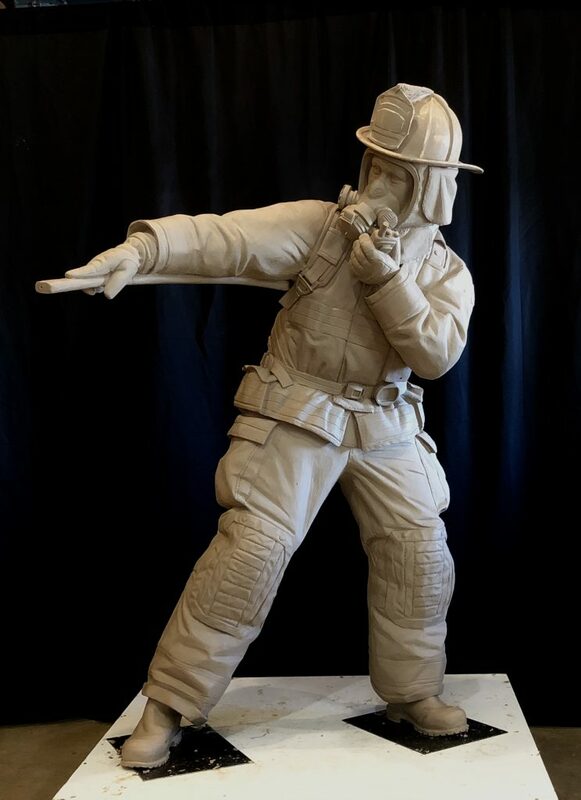 Some of them have been in the fire service, some of them wanting a unique piece dedicated to a special place in their lives, and a few of them who are outspoken champions for their communities and the arts. The other week, I attended to a memorial service for one of these great friends, Sandy Brug. Sandy was the president of the Windsor-Severance Historical Society as well as a volunteer countless other organizations in the town. Our story began years ago when she started to fundraise for the Windsor Severance Historical Society’s sculpture of a Farmer, his wife and his two kids. Her quick humor and charm easily won me over, as it did everyone else who came in contact with her. 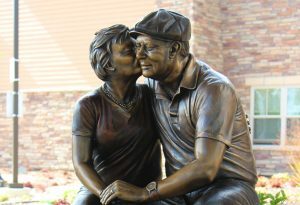 When people spoke about her at the memorial service, they often referenced her love of sculpture and the impact it made on her personally, as well as the countless members of Windsor who were able to enjoy and experience the sculpture for themselves. Every time I install a sculpture, I’ll look back and feel a pull towards it for years to come. Knowing that other people have the same connection to a piece makes my job even more special and humbling to me. It makes the long hours worth it, knowing that generations get to enjoy a piece I sculpted, giving them a chance to create their own personal connection with it, too. 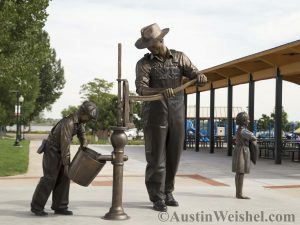 The impact of a bronze sculpture is long lasting and deep rooted in a community. I’m grateful for all the connections I’ve been able to make, the business relationships that turn into powerful friendships, and the opportunity to give to communities and families a great sculpture thats will last for hundreds of years.